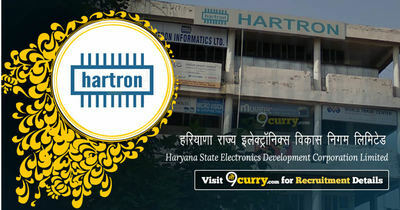 HARTRON Result 2019: Below are the latest results published by HARTRON - Haryana State Electronics Development Corporation Limited / hartron.org.in. The recent result announced by the organization is State Eligibility Test in Computer Appreciation and Applications (SETC) Eligible List 2019. HARTRON State Eligibility Test in Computer Appreciation and Applications (SETC) Eligible List 2019: Haryana State Electronics Development Corporation Limited has announced the Result on 03 Apr 2019 for the exam . HARTRON Call Center Agents Result 2018: Haryana State Electronics Development Corporation Limited has announced the Result on 06 Dec 2018 for HARTRON Call Center Agents Exam 2018 . Registered Office: SCO 111-113, Sector-17B, Chandigarh, Pin-160017 (India). Corporate Office: SCO 109-110, Sector-17B, Chandigarh, Pin-160017 (India).